CR-2005B Computed X-ray Radiography Scanner is new digital x-ray diagnostic equipment and a substitute for traditional x-ray medical instrument which is designed and manufactured independently by our company. CR-2005B Machine is the system with comprehensive technology which mainly includes two parts (1) laser scanner reader (2) handling part of medical image with computer. Breast cancer is one kind of common malignant tumors to woman. Earlier discovery, diagnosis, and treatment is only effective method to prevent and cure breast cancer, as well as prolong patient’s survival time. AJ-MO50 X-ray Mammography Scanner adopts international vanguard technology, it has high degree of automation; with clear image, its resolution can reach up to 18 lp/mm; its user-friendly design causes the operation more convenient, so it becomes indispensable key equipment on imaging diagnosis of mammary gland diseases. 50 KHz radio impulse DC power supply, which ensures the stability of X-ray, thus it raises the effective use factor of X-ray, simultaneously reduces the dosage that patient receives from X-ray. To ensure clear image, its image resolution can reach over 18 lp/mm, its density resolution and the smallest calcification resolution may reach up to 1.19 mm and 165 µm respectively. AJ-MO50 uses advanced crystal X-ray detector, composes of multi-spot sampling automatic exposure control system, and it has high sensitivity and rapid respond, which ensures that the mammary gland of different ages and thicknesses can obtain the X-ray film with the best irradiation quantity. 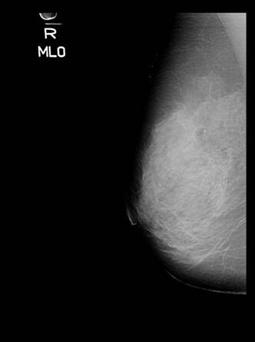 To realize the fast rise, fast drop, automatic deceleration and compression after contacting breast tissue, it will automatic stop when oppress to the preset pressure. It not only reduces the patient’s pain as oppression but also is convenient for operation. 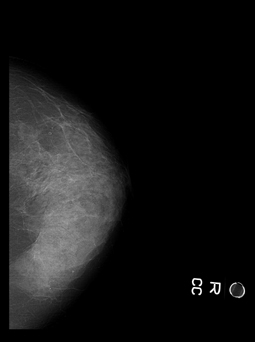 After patient takes X-ray picture, compressor immediately automatic releases the oppression to the patient’s breast. In the event of accidental power failure while patient takes X-ray picture or is in the oppression process, only need to move the decompression key by hand, which may cause the compressor to fast lift, and then relieve the oppression to patient’s breast immediately. By effectively blocking the scattered X-ray, it is advantageous to further improve picture’s quality.